SEATTLE — If there are jitters in the economy, Microsoft isn’t feeling them. Microsoft’s quarterly earnings can give indications of whether companies and consumers around the world are cooling their spending, because the business taps into so many markets. Apple reported on Tuesday that its revenue was down in part because consumers are buying new phones less frequently, and the chipmakers NVIDIA and Intel both indicated weakening demand for the components they build for data centers. But on Wednesday, Microsoft showed solid performance across its commercial and consumer businesses, reporting revenue of almost $32.5 billion in the last quarter, and a profit of almost $8.6 billion, both increases of more than 10 percent over the same period a year ago. Microsoft had handily beat analyst expectations recently. In the last quarter, the results fell mostly in line with what investors expected, and shares fell about 2.5 percent in aftermarket trading, wiping out most of the gains made earlier in the day. The company continued its shift to cloud computing, which allows businesses to store and analyze their data in remote centers. Its offering is now widely seen as the strong No. 2 in the market that had once been dominated only by Amazon. The company’s consumer products also did well during the holiday season, with a 39 percent increase in sales of Surface tablets and laptops compared with the same quarter in 2017. Sales of its high-margin Windows operating system fell, which the company tied to a continuing shortage in computer chips. The last quarter illustrated Microsoft’s increasing strength. At times, it surpassed Apple and Amazon to become the most valuable company in the world, which was both a sign of its resurgence and the stumbles faced by its peers. The company announced a series of major, multiyear partnerships with large customers that validate a bet by Mr. Nadella to shift the company’s focus to cloud computing and away from personal computers. A few months ago, Microsoft indicated that its rapid global expansion of data centers would moderate this year, but it signaled this was more about making the best use of all its capacity rather than a sign that customers were less interested in cloud-based services. “We think this is cyclicality — you build then you grow, you build then you grow,” said Jennifer Lowe, an analyst who covers the company for UBS. Sales for Azure, Microsoft’s core cloud computing offering, were up 76 percent over the same period last year, the same pace as last quarter. This is a slower growth rate than 2017 and the first half of 2018, but analysts say that mostly reflects how big the business has gotten. “Azure outperformed, so fears of a deceleration in that business are misplaced,” said Brad Reback, an analyst at Stifel. And Microsoft’s overall commercial cloud computing revenue, which includes both Azure and subscriptions to cloud-based Office 365, grew 48 percent, to $9 billion. “They haven’t just changed the product set — they have literally changed the culture, and they are really acting like a cloud platform,” Mr. Reback said. He added that Microsoft uses the constant flow of data passing though its cloud computing services to develop and improve its products and sales more quickly. Microsoft has found success in offering a so-called hybrid cloud offering, in which customers keep some data on their own servers and others in the cloud and manage it all with a single set of tools. Analysts say the company has an advantage over Amazon in that area, because so many large business already use Microsoft tools on their servers. 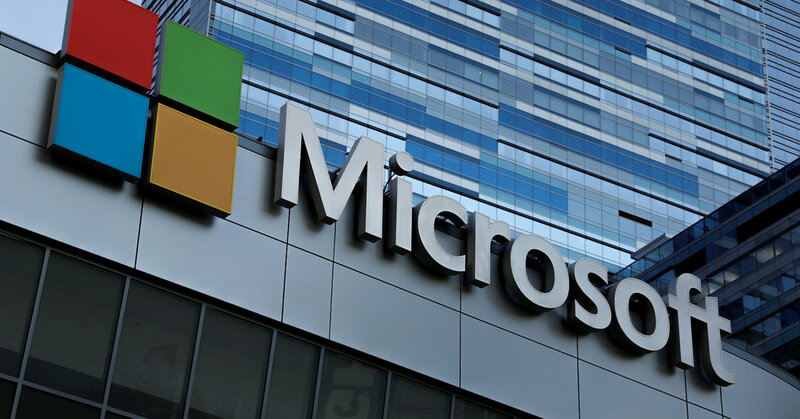 Amy Hood, Microsoft’s chief financial officer, pointed to 24 percent growth in server products and cloud services revenue as an indicator of strength in that business. She said that figure includes pure Azure sales as well as premium traditional server sales that can be managed together. “That gives customers flexibility to decide when to move,” she said. “The opportunity for our shareholders when they think about Microsoft has never been better,” Mr. Nadella said in a call with analysts. He said Microsoft’s interests align with those of its customers, because the company’s cloud products often bring in revenue from subscriptions and use rather than large upfront costs. “We want to make sure we are in fact making our customers fully capable digital customers in their own right,” he said. Microsoft and Kroger are working to develop cloud-connected physical retail stores, with new products like digital price tags and sensors to track shoppers and show them customized ads. Another partnership, with Walgreens Boots Alliance in the pharmacy sphere, aims to use artificial intelligence to improve health care outcomes.